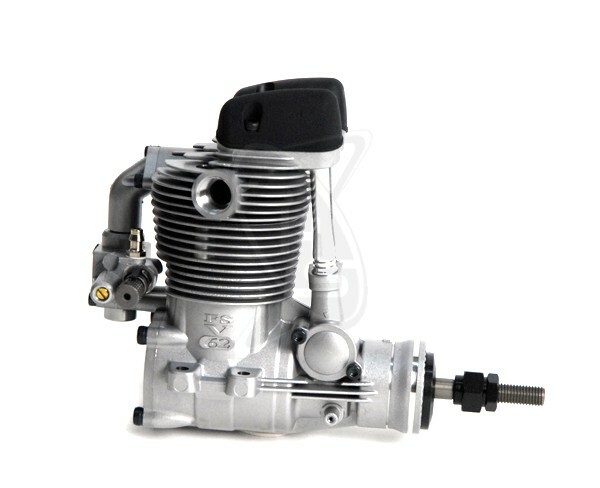 The OS FS-62V is the second model from the new FSV series of the single cylinder overhead valve four cycle engines. It features a classic yet sophiscated look and broad power brand to suit a variety of 60 class model types. Newly designed F-4050 silencer creates powerful yet pleasant sound and also features its exhaust outlet direction can be changed. 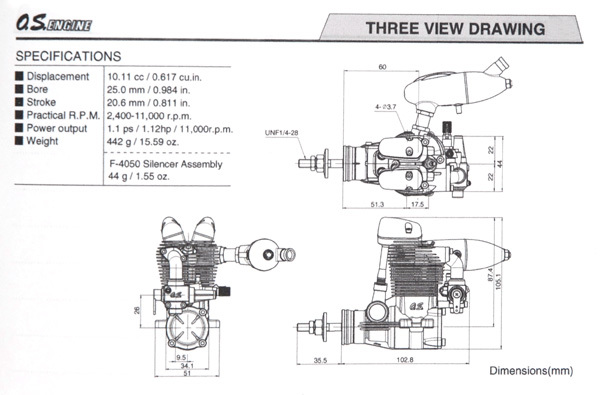 It has the same mounting dimensions, drive hub position and linkage position of the FSα-56.